To respond to market demands, event planners should start using VR and AR in their work to a greater degree. Virtual reality and augmented reality already see various adoption rates across many industries. These immersive technologies allow professionals to push the barrier of the physical world and bring their theoretical ideas to life. From healthcare to building and military training, VR and AR are disrupting industries. Also, they transform the way people work with each other and with abstract concepts. Augmented reality and virtual reality are making their presence known in the event planning industry, as well. From the simplest interactive experiences to complex installations, event planners spice up their work with latest technologies. The purpose of these new additions: to increase the number of attendants, boost sales and take brand awareness to new heights. 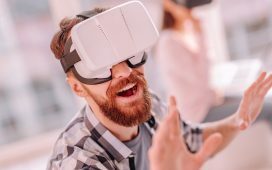 Although there are no boundaries in what one can do with augmented and virtual reality in terms of content creation, the event planning industry is already drawing some general adoption lines. We are not talking about dos and don’ts here, but more about a set of best practices. They are meant to ensure the complete success of the event and a memorable experience for all the participants. What do a wedding and a business conference have in common? They both need a venue where the participants will assemble. As any event planner knows, the event selection phase can take a lot of time and is riddled with pitfalls. At the last moment, an unexpected feature or condition springs to attention, when you are about to close the deal. With the help of virtual reality tours, event planners and their clients can explore each venue from the comfort of an office. They can take a close look at the layout of the venue, the possibilities it offers in terms of table arrangement, speaker podium, etc. This is more comfortable and less time consuming than going in person to visit each of the proposed venues. Augmented reality is easier to implement in large scale events than virtual reality. For one, it is not as isolating as VR. People don’t need to wear a headset and become completely torn off from the real world. Instead, using their smartphones, they can discover interactive experiences, extra information on products or hunt for clues in gamified promotional activities. As much as they would want to, not every interested person can attend an event. Distance, time and money constraints limit people’s possibility to travel and participate in an event they care about. Thanks to virtual reality, they can experience that event as if they were there. 360-degree videos and live VR broadcasts helped many important events, such as the 2018 Winter Olympics, become accessible to global audiences. Product launches are exciting events where companies want to impress potential customers with the special benefits and features of their latest creation. When it comes to complex products like cars, industrial machinery, etc., many companies feature a behind-the-scenes film, documenting the product journey. From theoretical idea to the assembly line, this type of film wants to promote the high quality and attention to details given in manufacturing the product. 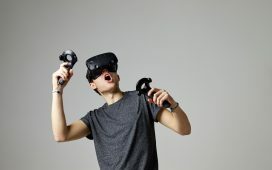 With virtual reality, companies can now take their audience within the production facility and allow them to explore every step in the manufacturing and assembly of the product. This is the closest a company can bring its customers to its mission and values, embodied in their work procedures. Trade fairs are usually very crowded and each exhibitor has a limited area allotted. They can only display a limited number of products and a brief description of their characteristics. However, AR markers and QR codes can expand the physical space into a holographic one, on the visitors’ mobile screens. Thus, they can discover the full range of a specific product line. Or they can get detailed information about the product, such as media gallery of posters, videos and interactive games which will increase brand recognition.